"As crunchy as an apple, as juicy as a melon!" Thank you all for a wonderful 2018 Pear Season! Our quantities are dwindling, but call and you may be in luck! Virginia Gold Orchard is a small family-run farm dedicated to growing the very best tasting Asian pears. We also grow Blackberries, Raspberries, Chinese Dates (Jujubes), Persimmons, and Chestnuts, and sell local raw Wild-Flower Honey and locally grown heirloom vegetables. 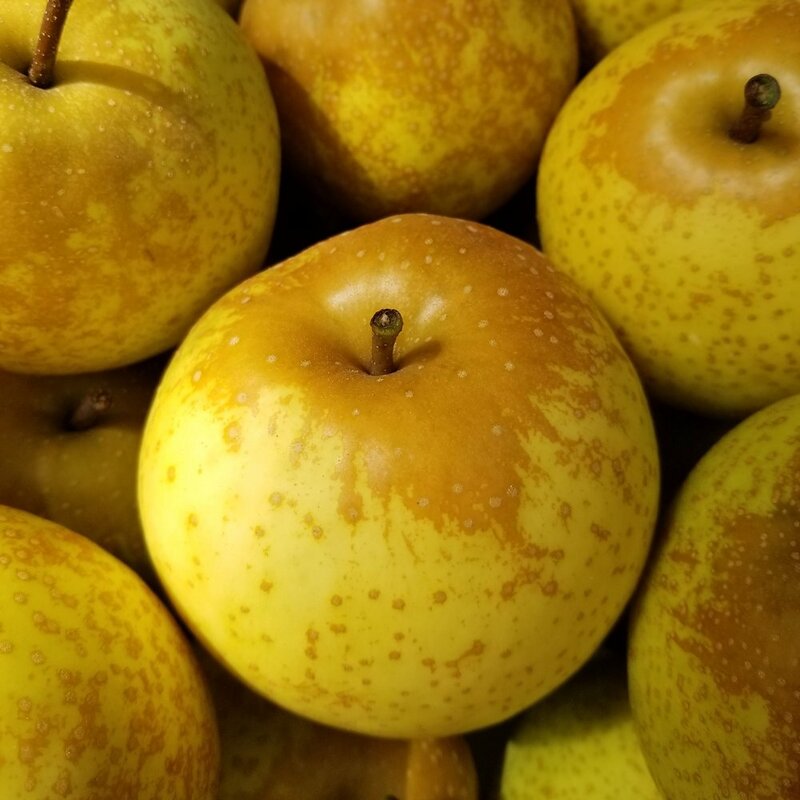 Asian pears are unique, but what makes Virginia Gold Orchard special is the fact that its pears are considered by many to be the best they have ever tasted. Many other pears - often shipped in from outside the United States - are picked green, days or weeks before they are truly ripe! We always pick our pears at the peak of ripeness, allowing the warm Virginia sun to give our pears their full, unique flavor. We then lovingly pack each box ourselves here at the orchard, by hand, to ensure only the very best pears reach you. 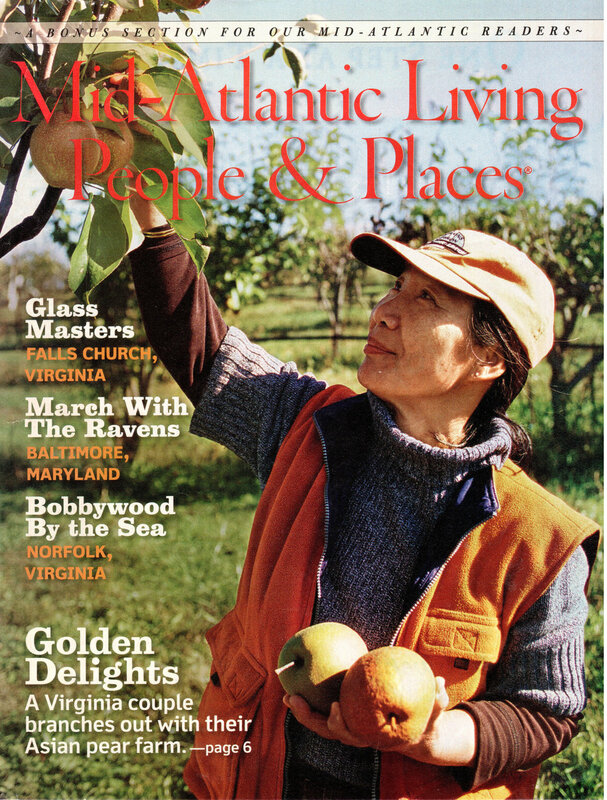 Our pears have been featured in Gourmet and Southern Living magazines, The Washington Post, The Richmond-Times Dispatch, The Korea Times, FOX 21/27 Morning News, and others! Click here to learn more about the farm and see our Press archive! Connect with us on Facebook to get announcements. Looking for Korean Rose planting instructions? Click Here! THANK YOU to everyone who helped make our first Tree Sale a success - Here are some care tips for how to plant and care for your young trees. Virginia Gold Orchard remembers co-founder Paul S. Estabrook. Samples are free at the orchard, so be sure to visit us each fall to try a pear!